Soon after meeting, Willow Summer and Ronni Sands knew they would write a book together. 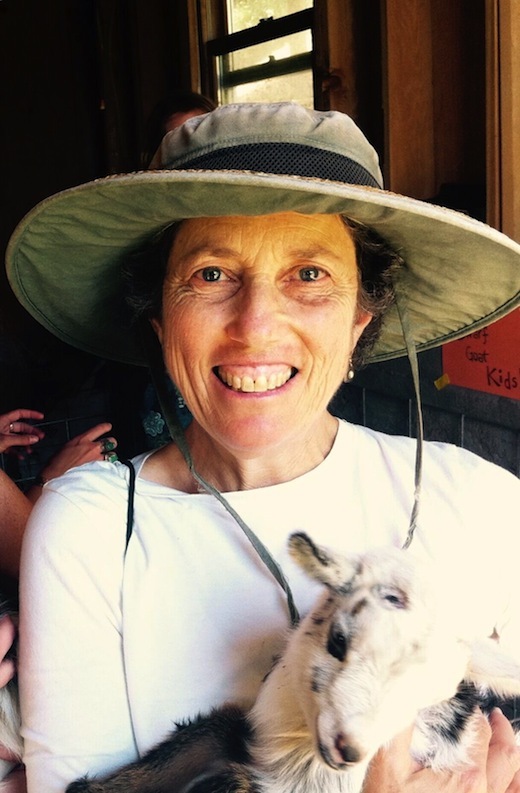 As the founder of City Slicker Farms in Oakland and the author (with Novella Carpenter) of a book on urban farming, Summers had established farming and book-writing chops. 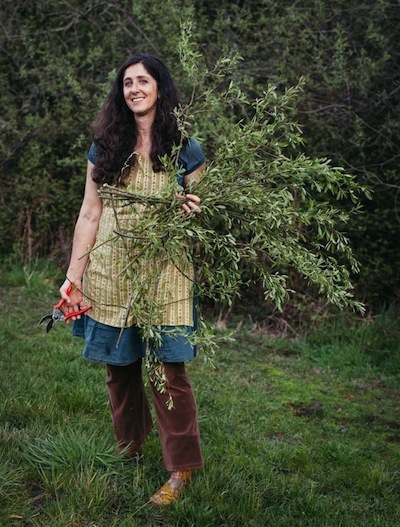 Sands, who has taught garden and cooking curricula at the 32-acre Summerfield Waldorf School and Farm in Santa Rosa for the past 25 years, had piles of notebooks filled with handwritten lesson plans and teaching ideas inspired by places like the Edible Schoolyard Project in Berkeley. 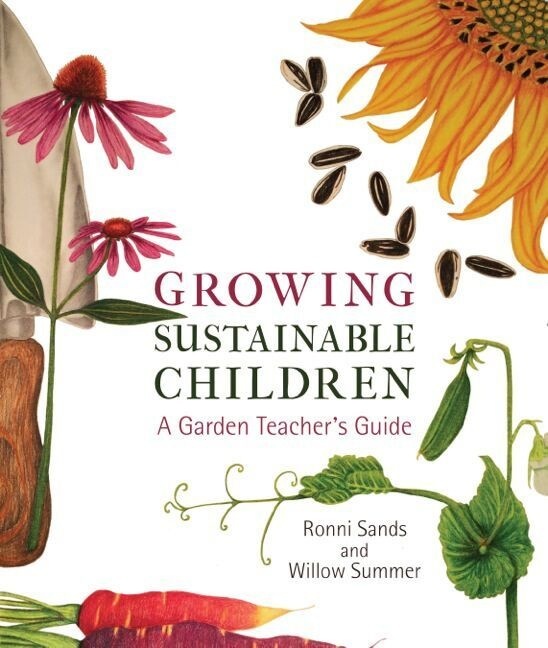 The resulting book, Growing Sustainable Children: A Garden Teacher’s Guide (SteinerBooks; 2017), took five years to complete. In the foreword, they write: “Immersing ourselves in the rhythms of the seasons—something that happens naturally through caring for a garden—can rekindle lost relationship and empower children to take responsibility for their own nourishment and food choices. The purpose of this book is to nurture this interrelationship of children, gardens, and preparing food.” I interviewed Summer and Sands on a sunny morning at Summerfield Waldorf to find out more about the impetus behind their book and the benefits of gardening and farming education on young people. MLM: Is Growing Sustainable Children exclusively for Waldorf teachers or can others benefit from it? Ronni: All garden teachers can benefit, but we wanted to include the Waldorf perspective because the garden curriculum is based on the Waldorf understanding of the development of a child. I wanted people to know what’s behind that. The lessons follow that underlying theme. Willow: It would be a great book for parents as well because there are so many activities to do with children. It doesn’t have to be in a school setting. When people encounter Waldorf, they see the external manifestation, but what they don’t necessarily see is all of the thinking behind it. It’s not so much about things being pretty and natural—though that’s important—it’s more about deeper thinking on development: there are certain ages and stages at which a child can absorb different learning. If you try to do things at the wrong time, it’s not going to land well. We also talk quite a bit about biodynamic farming, so it can be useful for farmers as well. Or farmers who want to have school children come out to their farms for a visit. You can just open up the book and find different age-appropriate activities for children. MLM: How might the lessons in the book help youth to become empowered within their local food system? Willow: One thing we do within our Waldorf education is really build up the “will-forces” of young people. In the world now, a lot of things are given to people. They’re supposed to listen, receive, and learn, and it’s almost like we’re thinking of a child as an empty vessel that you just pour information into. For us, it’s really important that the children actually engage their own will-forces in their own learning. If you learn something from someone and do it yourself, you’ll never forget it. This extends to their relationship with food. Children typically don’t want to eat their vegetables, right? Working in the garden with children, I’ve noticed they’ll say, “I don’t like broccoli,” but I guarantee you that if they are involved in growing and producing it, if it’s their garden, and their project, they are excited to eat it. Children are living in an adult world, but when they have their own power in the garden—they built it, created it—they have a sense of ownership and pride. When children have healthy sensory experiences in a garden, then their palate is almost educated in a different way. Ronni: The high school students come out here on their break and they are eating the figs, apples, blueberries, strawberries. They get really excited and they participate in an amazing way. If we’re caring for a garden, we’re caring for the planet, we’re caring for the soil, we’re growing things organically, we’re actually participants in helping the planet be healthy. Willow: The process of learning about harvesting and processing what they’ve grown gives them a much bigger appreciation for all the people in the world who produce and grow our food. Because, the reality is that we’re not all going to be eating from our own garden or even food only produced in Sonoma County—that’s just not our food system right now. But it also expands our concept of the process of how food arrives on our plate. The way that we teach, we always give gratitude for our food before we eat it. And there’s a point to that. In our modern times, we are unbelievably interdependent. Ronni: As we say in the book, it’s all site-specific. What is your school garden site offering and how do you develop that site? You can use these guidelines but specific to your place. Because not everybody is going to have a facility like Summerfield. You could do these lessons with raised bed boxes. Wherever you are. Willow: I think we’re starting to see the results in the world of this movement to provide garden-based education to students. It’s been picking up steam for the last 20 years and even before that. It’s become more and more popular and valued by schools and educators. I meet young people and for them, this stuff is just life, it’s just normal. That’s the goal. Rather than specialty, organic, local food being a novelty—that it’s actually just viewed as how we live. I’m starting to see that in the youth because a school or a teacher decided to work on this and said this is important and this is valuable. We just want to contribute to and be a part of that. Thanks Leilani and Willow – I am a huge fan of all your great work simultaneously writing and doing! Youngsters here in Sonoma County are lucky to have a wealth of exemplary school gardens – Salmon Creek, North West Prep and many many more. I wanted to put in a plug in for anyone wanting to get more involved in the school garden movement or ready to take their school garden to the next level: The Occidental Arts and Ecology Center teaches an amazing School Garden Teacher Training course and has trained over 1,000 teachers, administrators and parent volunteers over our 24+ year history. There is still space in our June 18-22 and 25-29 courses! CEUs available. Visit http://www.oaec.org/resilientschools where you can also find some great resources, including a free pdf curriculum guide to seed saving with kids. Cheers!